Bren-Tronics continues to be at the cutting-edge of providing energy independence for the warfighter with the recent introduction of two new Soldier Portable Chargers (SPC), the Soldier Portable Charger (BTC-70801) and Soldier Portable Charger Lite (BTC-70819). Both units are universal state-of-the-art, high performance, lightweight, portable battery chargers that have been designed for field deployment and/or depot/shop usage. These chargers are simple to use and are capable of charging multiple battery types. Currently the units can handle Nickel Metal Hydride, Nickel Cadmium, Lithium Ion, and Lithium Polymer batteries, and new chemistries can be added as they are introduced. Batteries are charged automatically using appropriate battery adapters, and when a new adapter is released the charger can be readily reprogrammed, even in the field, via the RS232 software upgrade port. 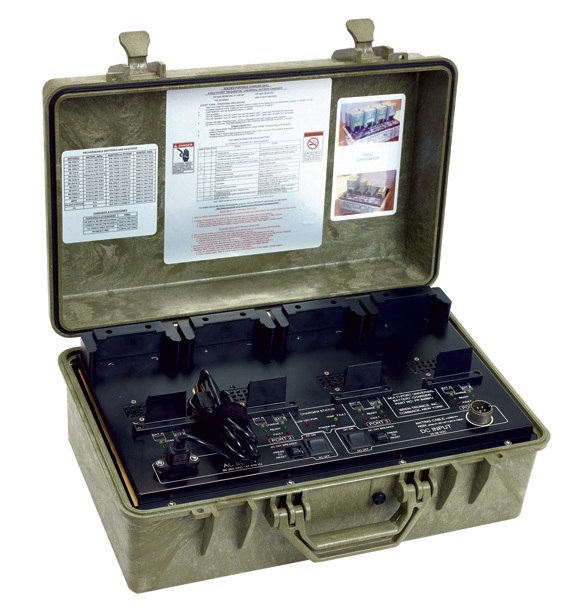 The units are capable of simultaneously charging from 2 – 8 batteries completely unattended. The SPC automatically identifies the specific battery type and provides the appropriate charge profile. 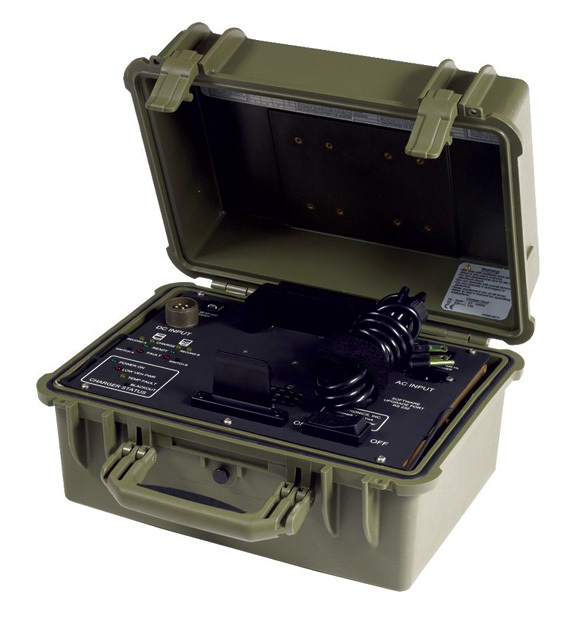 The SPC Lite is adaptable to the operating environment, and automatically customizes the charge profile to provide the soldier with the quickest charge in the safest manner. The operator can readily use either AC or DC input power – whichever is most convenient for the user. Bren-Tronics is an advanced designer and manufacturer of primary and rechargeable batteries, chargers and complete storage systems from watt hours to megawatt hours.